Multiple long signals in $BA were generated by a DLPAL DQ scan of DOW 30 stocks after the close of last Friday. The company announced on the following Monday an increase in dividend by 20 percent and a $18 billion share repurchase authorization. 2. 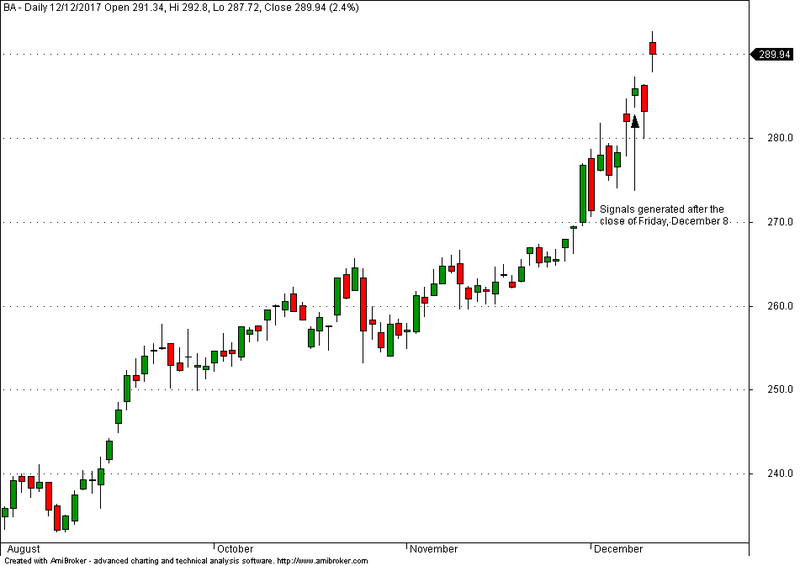 With a 14-day %ATR of about 1.8%, the actual profit target and stop-loss should be greater that 4% to avoid whipsaw. Actually, a 2% stop would have been hit near the low of Monday and a long trade at the open of the same day would not have realized Tuesday’s gain. Therefore, risk management is important especially in this kind of discretionary quant trading. 3. Some traders use time-based exits. About 5 bars is typical value for this type of exit. 4. Multiple signals for the same security, usually more than 3, indicate a higher probability of a profitable trade. In the BA case there were 5 of them as already noted. 5. Discretionary quant trading is hard and it is as much of an art as a science and math. 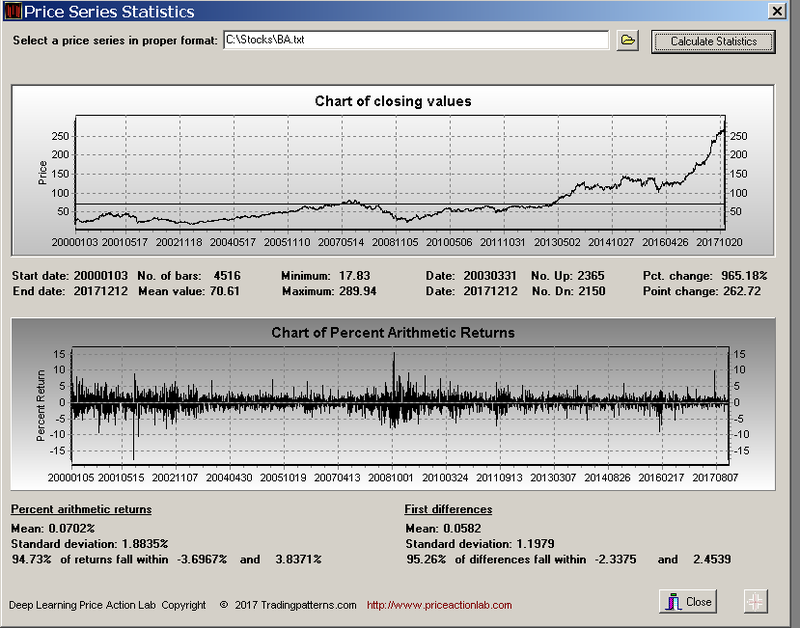 Tools like DLPAL DQ may help but intimately the burden is on the quant trader to make them work. A hammer can assist in building a house or demolishing it. Tools have no inherent value, their value comes from the synergy with their user.